Many of us think of baking soda as a kitchen ingredient for cooking. However, these fantastic uses for baking soda prove why people have it at home even they don’t cook. Like many of us Americans, you might have a pack of baking soda at home right now. You should get one right now if you don’t. Keep reading for the reason why. Chemically sodium bicarbonate, baking soda is a type of salt. It gets the name because it is a rising agent for baking traditionally. The compound can react with acidic components in dough, releasing carbon dioxide gas, making bubbles to cause the dough to rise. Nahcolite is its natural form, which has been used since ancient times. For example, the Egyptians used natron to make soap. From around eighteenth century, people started making this compound. And over the years, people also realize that this salt can do much more than just rising dough. For example, among many uses for baking soda, it can be a good pest controller. Environmental Protection Agency lists it as a bio-pesticide. When pests consume baking soda, it kills them by releasing gas to cause their internal organs to burst. Sodium bicarbonate can be an inexpensive way to raise alkalinity. It is useful for maintaining pH level for pools, spas, and garden ponds. As heat causes sodium bicarbonate to release carbon dioxide, people use it to extinguish small grease or electrical fires. In addition, people also use this salt for cleaning, personal hygiene, home remedies, and many other home uses. Its uses are seemingly endless. 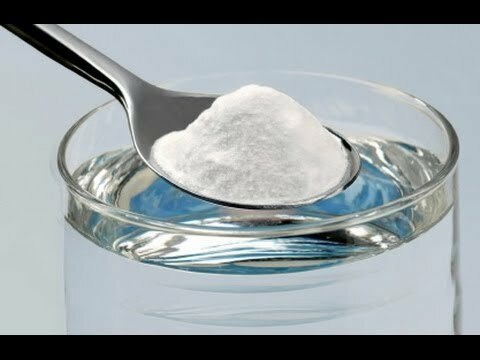 Baking soda one such amazing home based natural remedy used for treating bloating It works fast in giving relief from stomach problems like gas, bloating, upset stomach etc. With this mask you can eliminate everything that makes your face look ugly and sloppy, it will allow you to clean, rejuvenate and refresh your face without the need to spend large sums of money. # 5 BAKING SODA GENDER TEST! BOY OR GIRL? This is an old wives tales. What you do is you add your urine to a tablespoon or so of baking soda and if it fizzles like beer then supposedly you\'re having a boy, and if nothing happens, then you\'re expecting a girl. Report for BAKING SODA GENDER TEST! BOY OR GIRL? Submission Name BAKING SODA GENDER TEST! BOY OR GIRL?